Billed as one of the world’s top conferences for connected and autonomous cars, TU-Automotive Detroit brings together industry-leading OEMs and suppliers all under one roof to discuss the future of mobility. 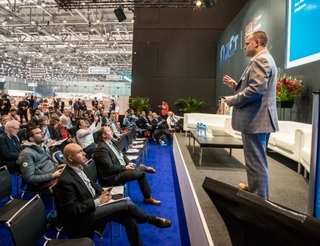 For 2017, organizers and exhibitors focused on the self-learning era of the automobile and how to deliver the personalized mobility experience consumers will soon demand. For HARMAN, our focus at TU was to debut our Smart Telematics Gateway solution and announce a new integration with IBM Security to bring world-class security analytics to OEMs. However, before the doors even opened on June 7, we were delighted to learn that our Ignite Platform, previously announced at CES, earned a 2017 Telematics Update Automotive Award in the category of Best Telematics Product or Service. It was an honor to receive such a prestigious award that recognizes leaders pushing the automotive industry forward through innovation, industry engagement and quality products and services. Unveiled at TU, the HARMAN Smart Telematics Gateway was designed to ensure vehicles not only have an advanced connectivity solution, but also the ability to update any automotive Electronic Control Unit (ECU) through a secure, wireless connection. Because many cars today have multiple control units that have to communicate between each other and the cars and infrastructure surrounding them, there’s a need for an efficient all-in-one solution that provides advanced connectivity as well as on-demand, over the air support for updating every ECU in a vehicle. 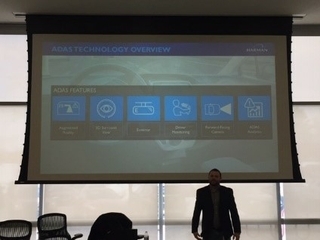 Smart Telematics Gateway aims to fill that need by offering automakers a flexible, modular hardware platform that supports a variety of connectivity features. The Telematics Control Unit (TCU) also acts as a secondary gateway thereby having access to all the communication bus inside the car. Just as over-the-air updates are critical for the future of mobility, increased cybersecurity is also a necessary element of the connected car. This is why we demonstrated the capabilities of an integration with IBM Security and our own cybersecurity suite to address threats such as ransomware, SMS spoofing, compromised dongle and multi-step wireless attacks. While at TU, HARMAN and IBM showcased how an integration between respective offerings can address these threats. For example, HARMAN’s ECUSHIELD for in-vehicle protection and TCUSHIELD for telematics security can share data and events with IBM QRadar to provide automakers with significantly enhanced intelligence and control of their vehicles’ cybersecurity protection. All the effort at TU-Automotive Detroit was to bring the connected car’s future closer to reality.